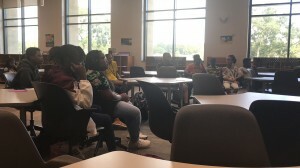 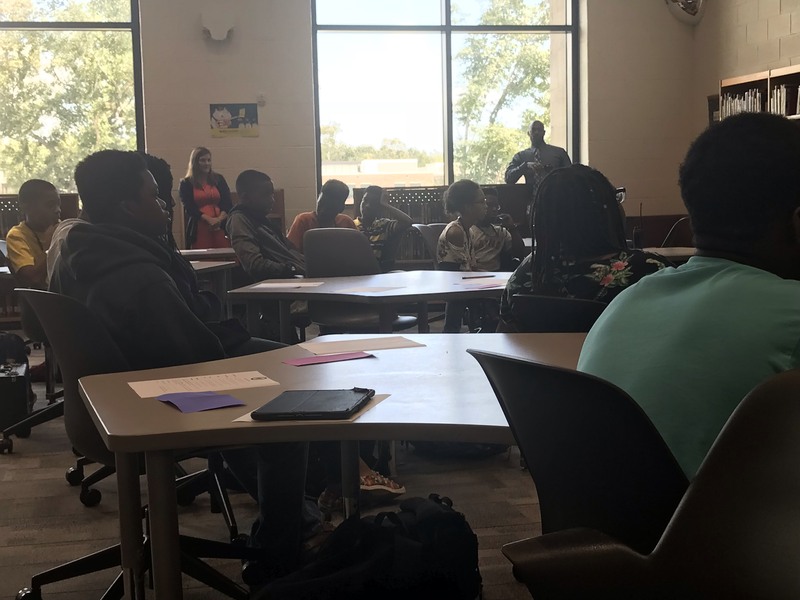 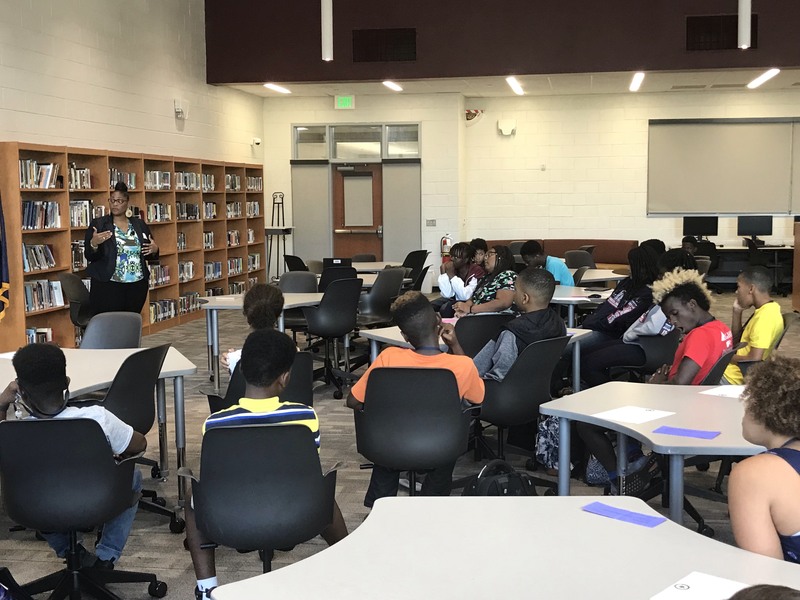 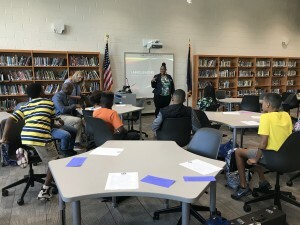 September 27, 2018 – 30 African American students at Laing Middle School gathered in the media center to be inspired by a leader in their community as a part of the school’s “Laing Leaders” program. This special program was created to help close the achievement gap and foster a culture that rewards and values academic success among African American students who demonstrate the potential to achieve at a high level. 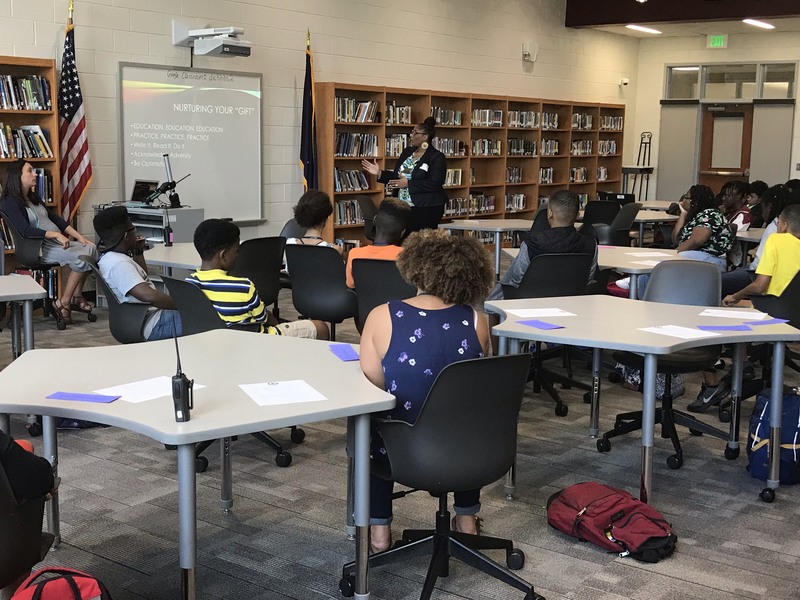 The first guest speaker for this school year was Mrs. Adriane Smalls-Owens, Youth Director of the Snowden Community Civic Association and the owner of the Pineapple Carriage, a youth development organization based in Mt. Pleasant. Mrs. Smalls-Owens, who has a blended background in healthcare and community youth engagement, talked about her travels, the importance of owning your culture, and how doing so can be an asset in their academic development. 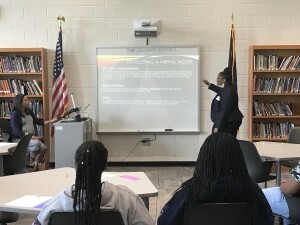 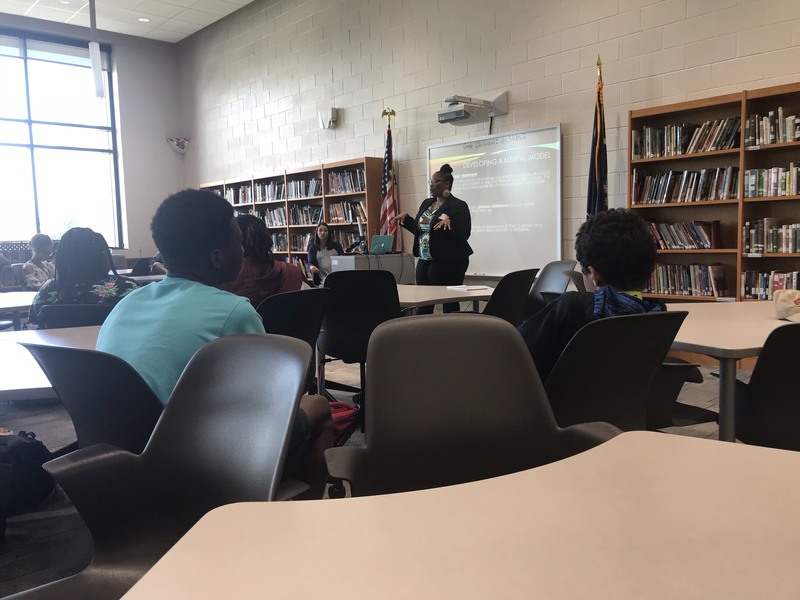 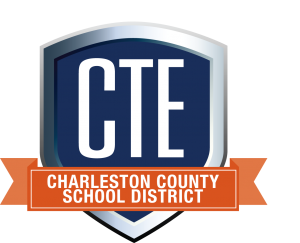 She informed the students that her professional and personal experiences have placed her at the core of creating opportunities and developing strategies to unite Lowcountry middle school and adolescent aged youth just like them. 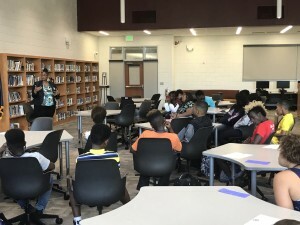 She had opportunities to master literacy, comprehension, academic achievement and skills of professionalism while leveraging healthier outcomes through workshops and out-of-school programs. In the end, she challenged the “Laing Leaders” to embrace their culture, develop their “mental model” nurture their gifts, and challenge themselves to maximize their potential. 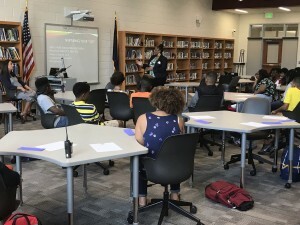 Thank you to everyone that made this wonderful experience possible for the Laing Leaders group, and to Ms. Allison Hurley for contributing to this story.